This post was sponsored by Trident Gum as part of an Influencer Activation for Influence Central, and all opinions expressed in my post are my own. I cannot drive, especially long drives or road trips, without gum. 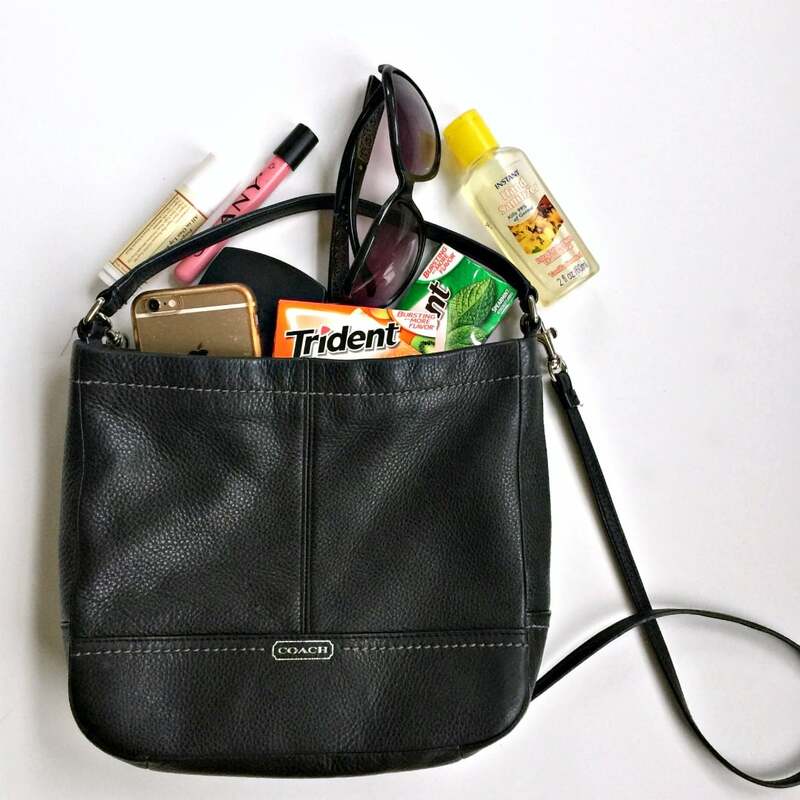 It’s why I always keep Trident Sugar Free gum in my purse. Chewing gum keeps me from getting dry mouth or thirsty because I don’t want to drink too much water while driving. Who has time for stopping for potty breaks? 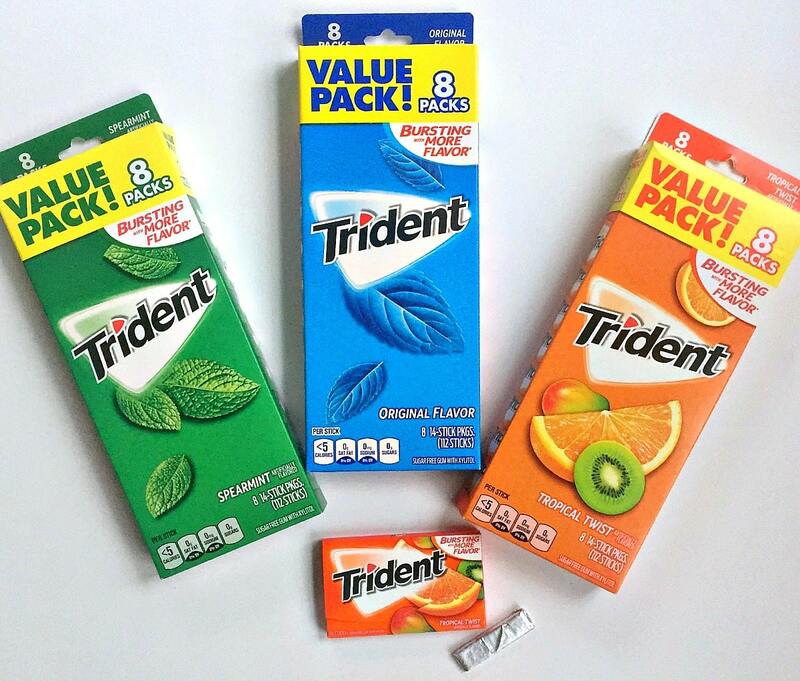 Since I’m always buying Trident gum, I was all over the new Ibotta offer for Trident Sugar Free gum at Walmart. You can find the 8 packs in the candy aisle. Click the image above to get the Ibotta offer. 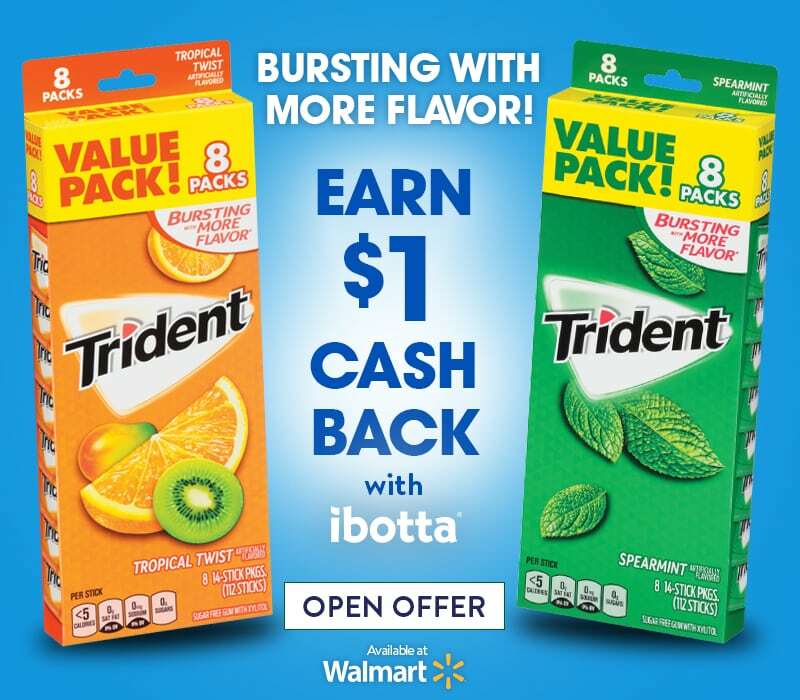 Earn $1 cash back with the special ibotta offers when shopping for Trident Sugar Free gum 8 packs at Walmart! 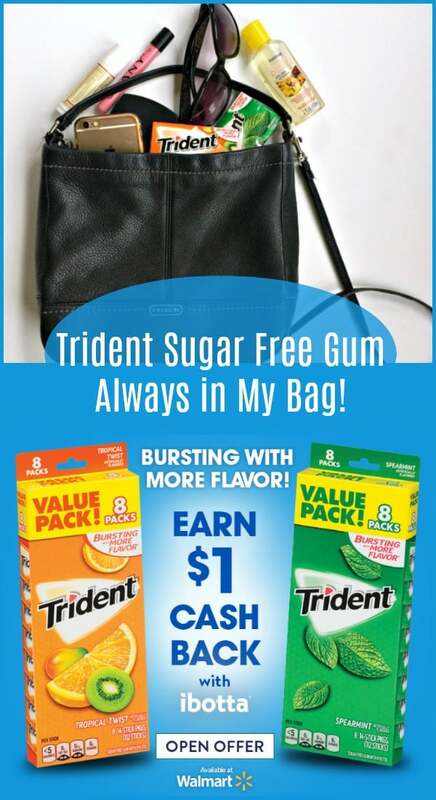 My favorite flavor is Trident Sugar FreeTropical Twist!